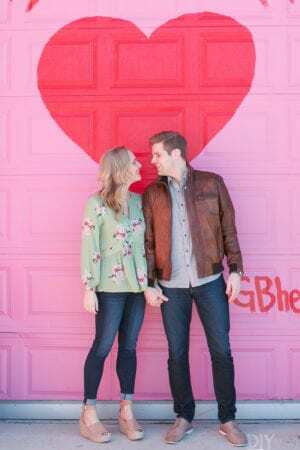 Disclaimer: This post is sponsored by West Elm. 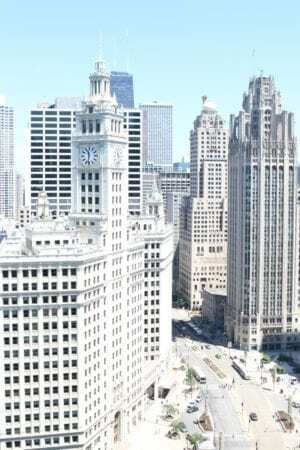 All opinions and photography are our own and are not influenced by West Elm. 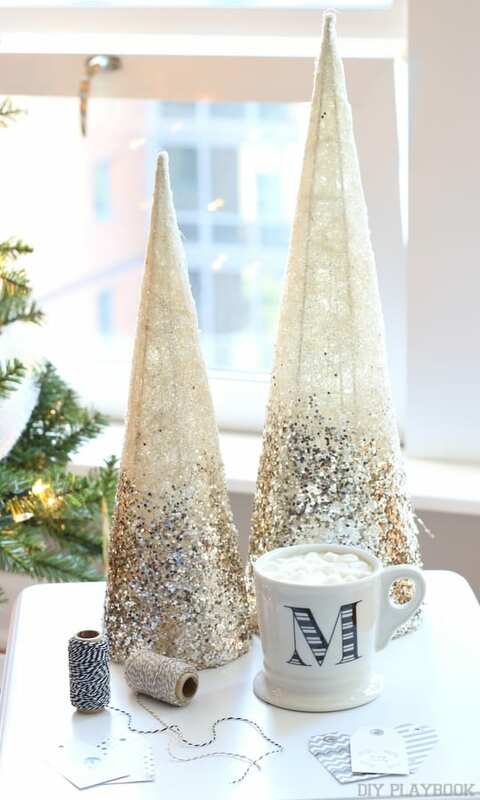 We know it’s Thanksgiving week, but we’re both immersed in the holiday season already! 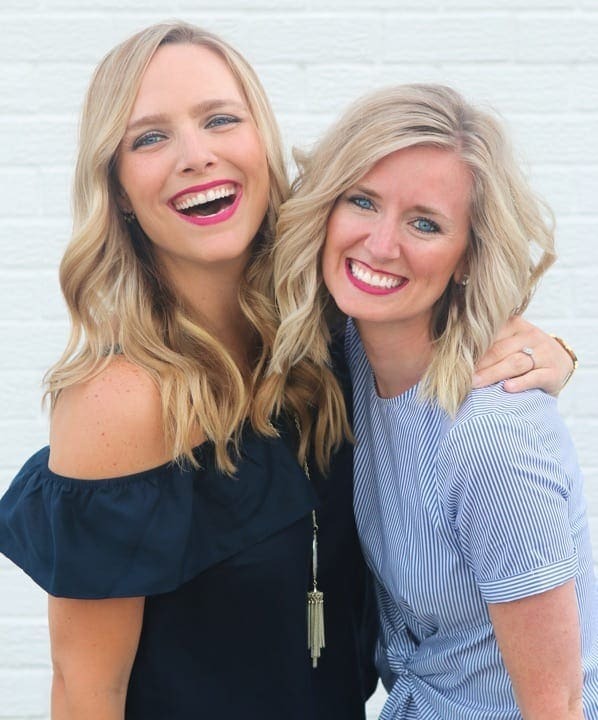 Between our Dream Tree in early November and yesterday’s Gift Guide, we’re so excited for the holidays to be here! And that’s why we’ve both already decked the halls. Yep, bring on all the holiday goodness! 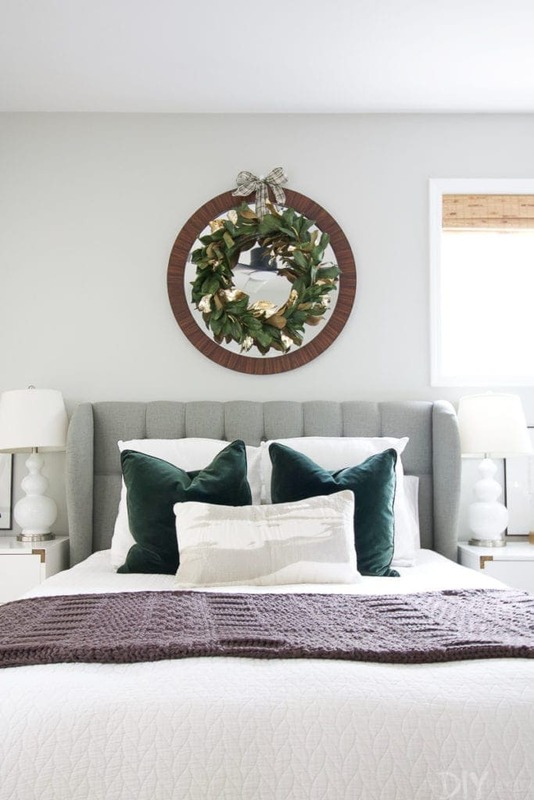 However, adding a few small touches to the bedroom for the holidays is one of our favorite ways to decorate for the season. 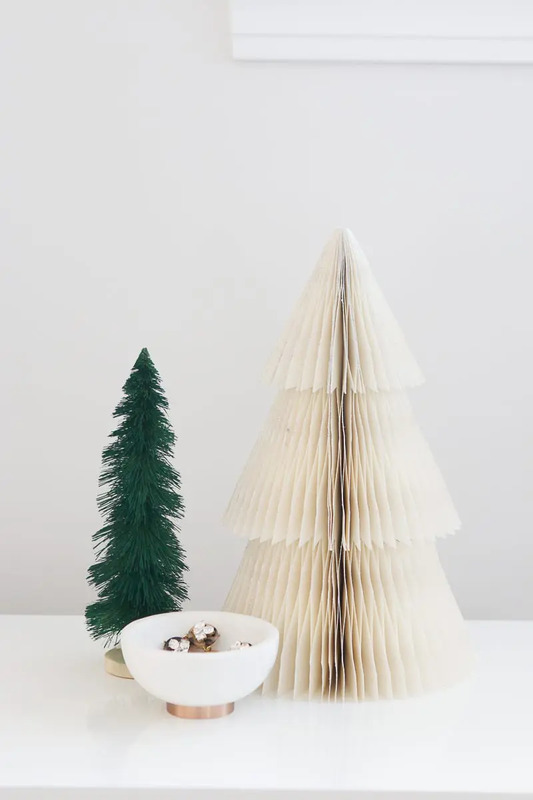 And no, we’re not saying you need to go and add a Christmas tree to your bedroom (although if you have the room, why not go for it?!). 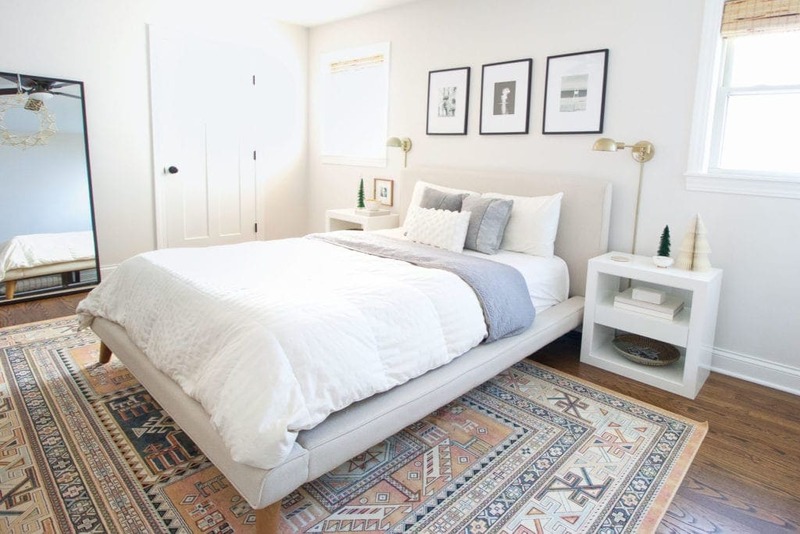 Instead, we think a few small swaps can really make your bedroom feel like magic. 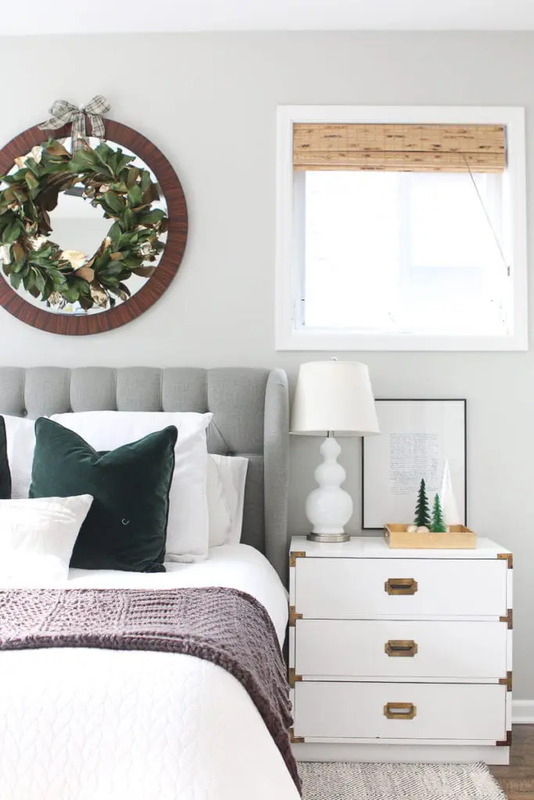 We each hit up West Elm to pick up a few new holiday accessories for our master bedrooms and are here to prove that you don’t have to change every.single.thing in a space to give it that Christmas magic. First up, I’m sharing my bedroom for the holiday season. 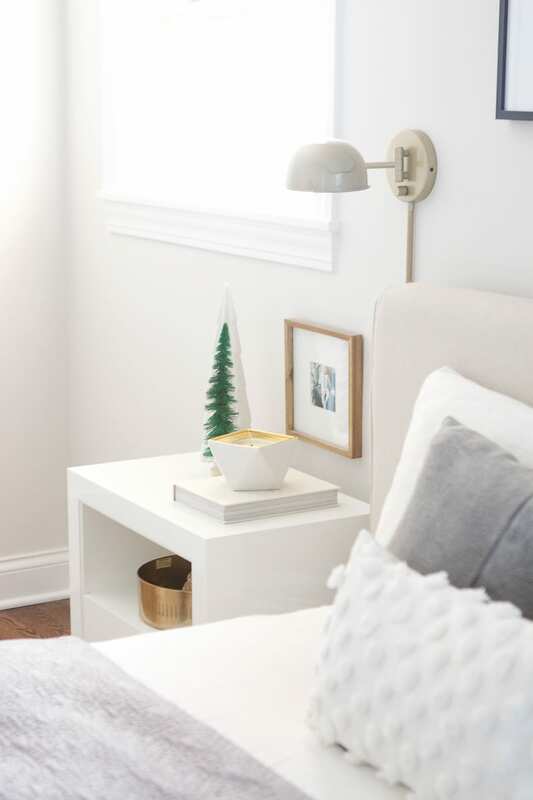 I’ve decorated this space in year’s past (you can see last year’s Christmas home tour here), and I always have fun with this room. 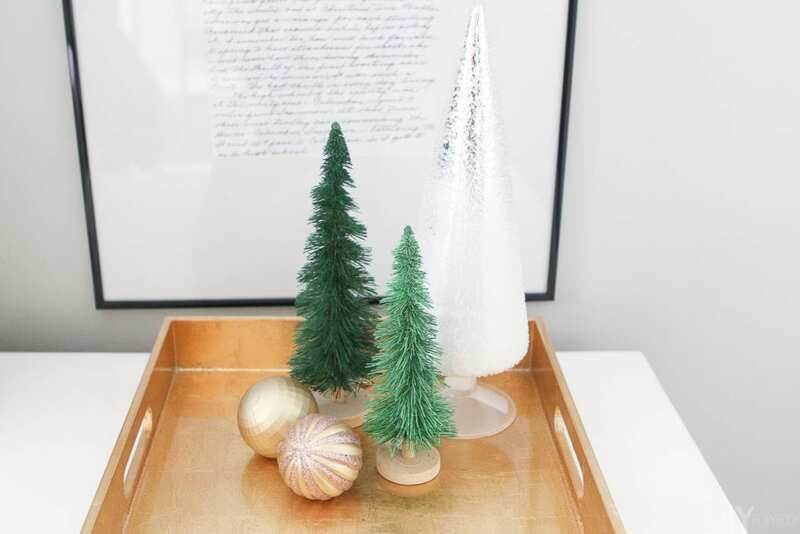 This year, I was excited to keep things pretty neutral with a gold and green theme. 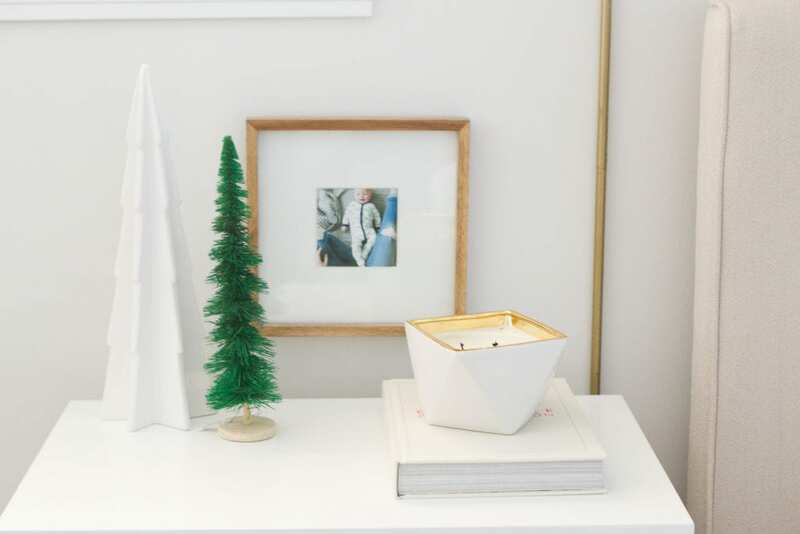 West Elm had a lot of great tabletop decor to choose from I ended up buying a few small trees to add to our nightstands. This white one and these two smaller bottle brush trees look great clumped together in a trio. 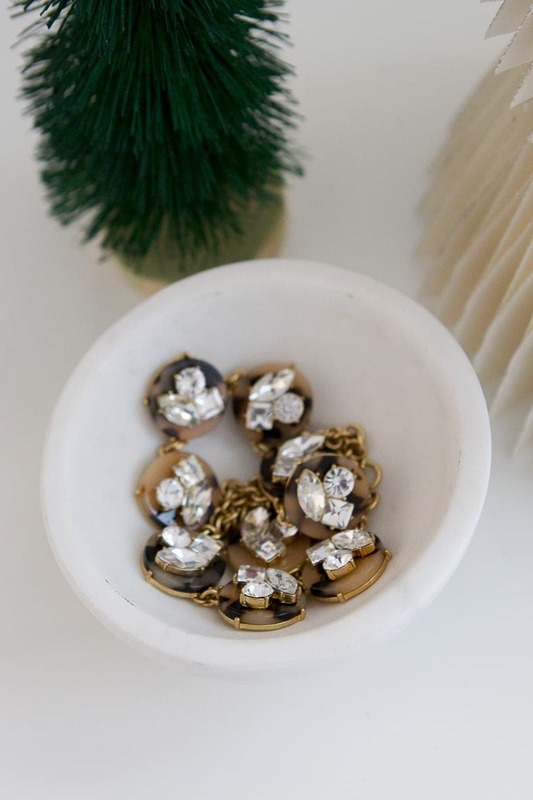 I put them in this gold tray that I plan to use even after the holidays are long gone! On the other nightstand, I added more tree decor. 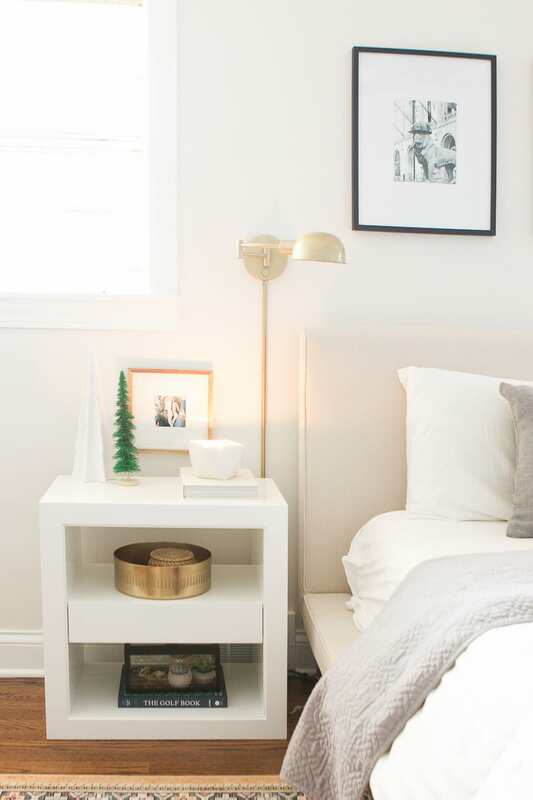 These wool wrapped trees add some much-needed height to this nightstand. 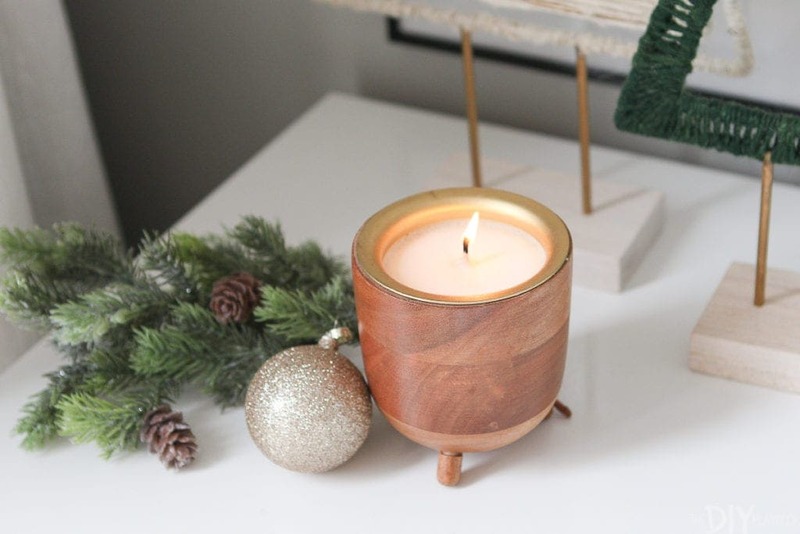 I paired them with this wooden candle (love the textured base!) and some greenery from the craft store. 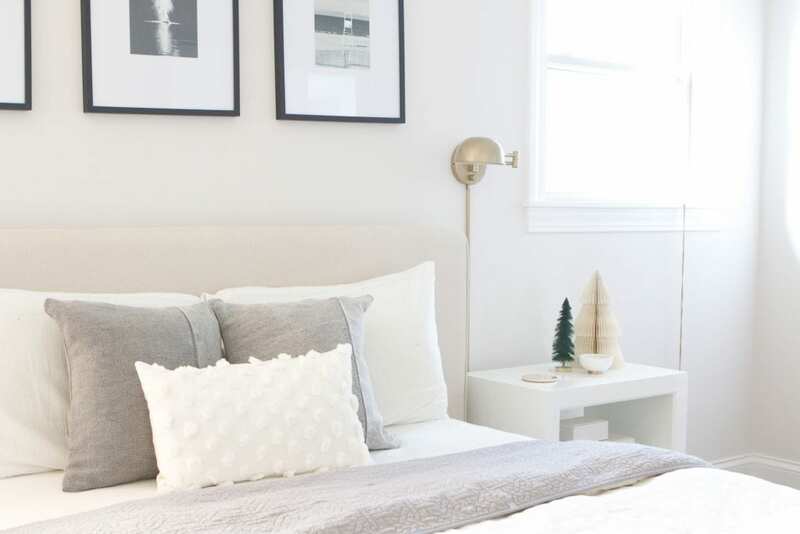 When decorating your bedroom for the holidays, it’s all about the cozy factor and that’s where pillows and throws really come in handy. This chunky knit throw at the foot of the bed just might be the softest blanket ever. Again, I think this blanket will be staying around long after the holidays are over! The perfect winter blanket. I also swapped out my fall lumbar pillow for this gold and white one. It adds a nice elegant touch of glam to go with the gold and green color palette. On our bedroom dresser, I needed some height. 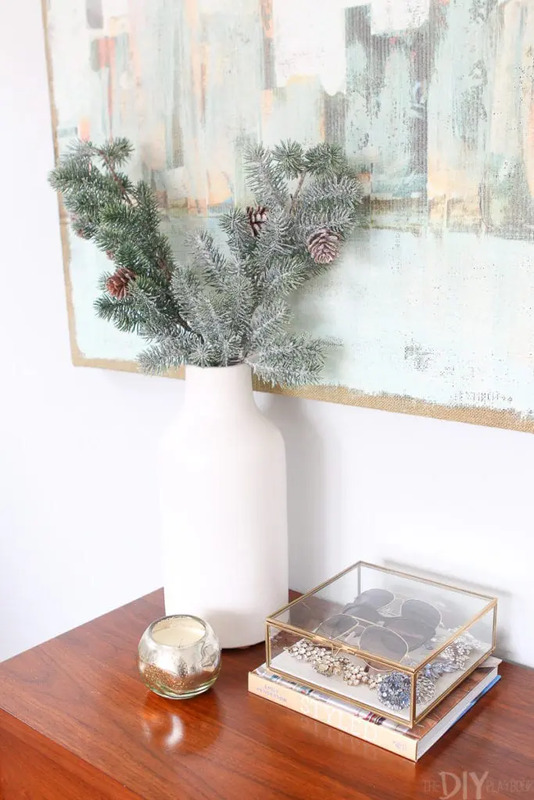 I picked up this large white vase (such a good everyday accessory) and filled it with winter branches from the craft store. 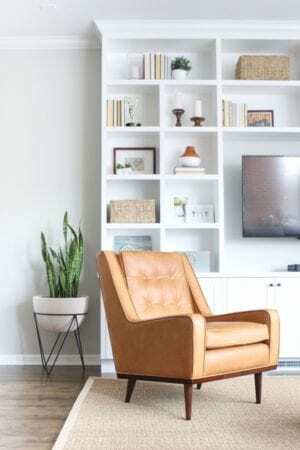 I think I’ll keep this white vase in here and simply swap out the flowers/branches seasonally for a fresh look! 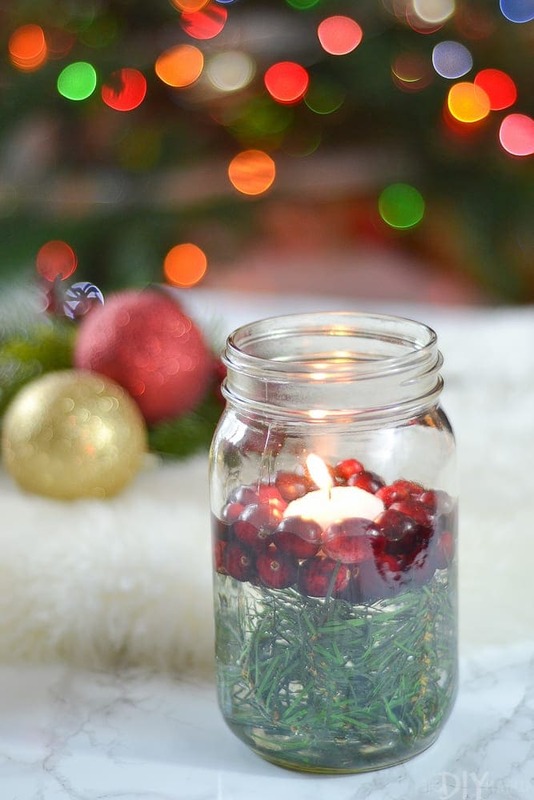 The holidays come with distinct aromas, that’s why I picked up a few holiday candles too! This wood one is actually the scent “pinot noir”. Yes…like the wine (a great gift idea for a fellow wine lover)! And I also got this mercury glass candle that smells just like an evergreen tree. 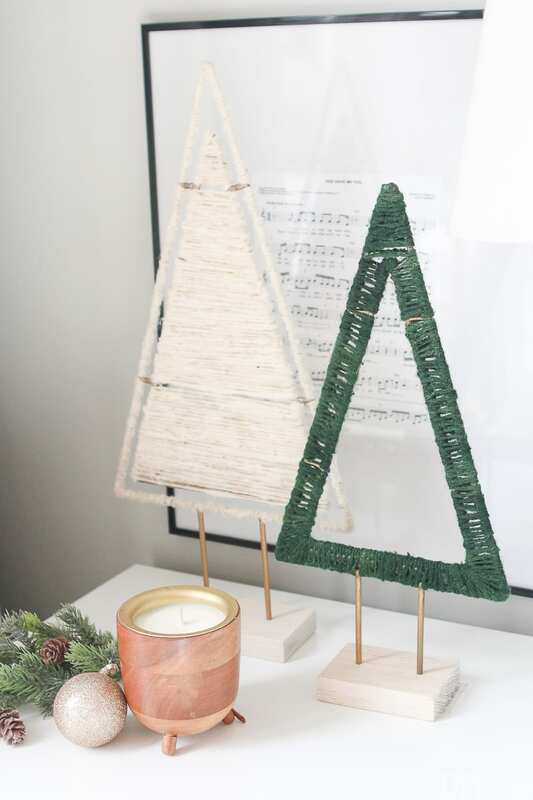 It’s heavenly (seriously, my holiday bedroom smells like a Christmas tree farm!). Honestly, it took me no time at all to decorate my bedroom for the holidays. 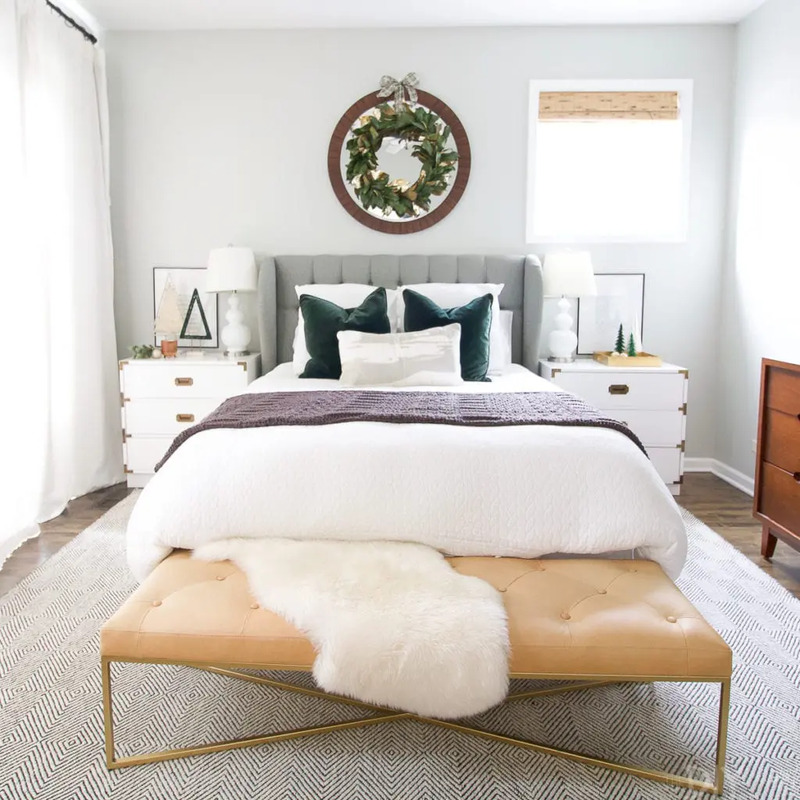 A few new accessories from West Elm, an hour of styling, and boom…our master bedroom now feels magical and ready for December. 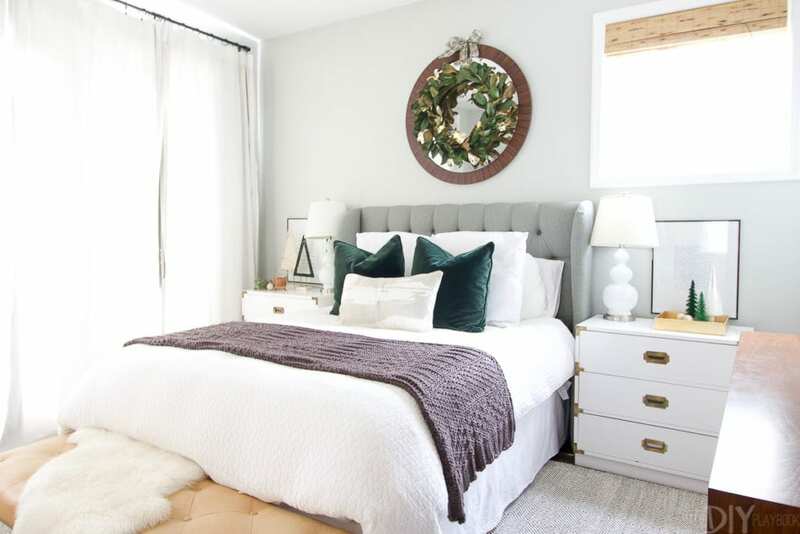 Now, let’s check out B’s gorgeous holiday bedroom! Like Casey, I don’t go overboard for the holidays. But I am excited to dress our home up for the holidays since this is the first Christmas we’re celebrating in this house. Of course last year we did technically have the house for Christmas, but did ZERO decorating because it was under construction. This year it feels far homier and adding a few holiday touches will make this the perfect place to be for Ben’s first Christmas. 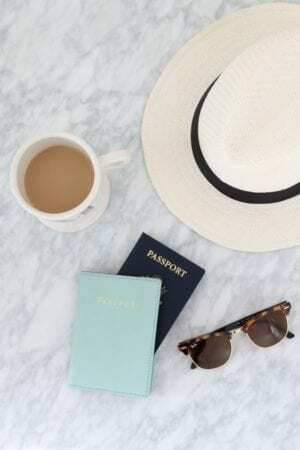 There’s no place like home for the holidays, right?! I pride myself in keeping our bedroom as clutter-free as possible so that it’s a relaxing place to retreat to each night. When it came to decorating our bedroom, I wanted to keep this same mantra in mind. I added just a few accessories, changed up the pillows, and included one amazing candle, and can’t believe how “holiday” this space feels! Like Casey, I went with the neutral colors with hints of greenery and gold. On my nightstand, I stuck with grouping a few accessories in 3. 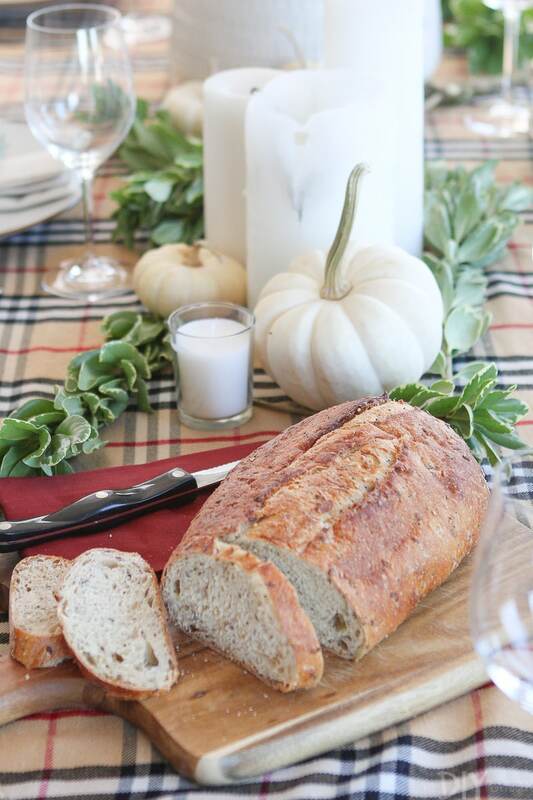 This is a foolproof tip to style almost any tabletop. 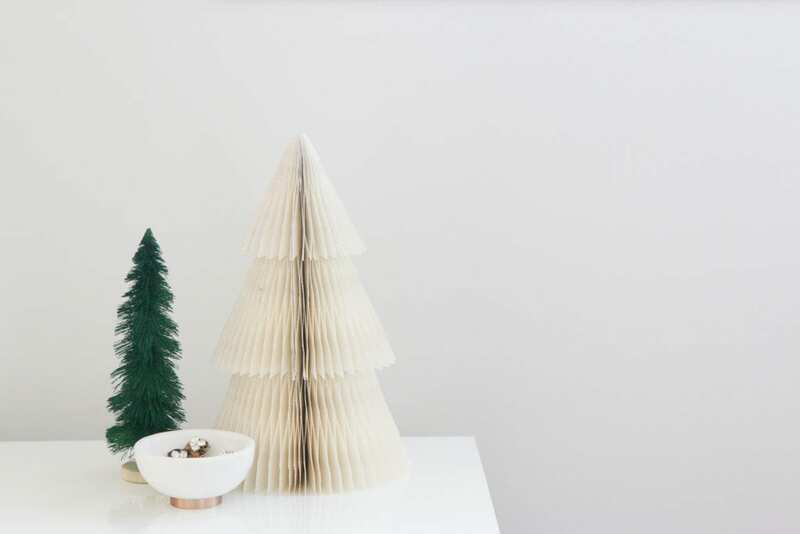 I paired this bottle brush tree, this accordion paper tree, and this gold dip bowl turned jewelry holder to add a hint of a whimsical holiday to our nightstand. 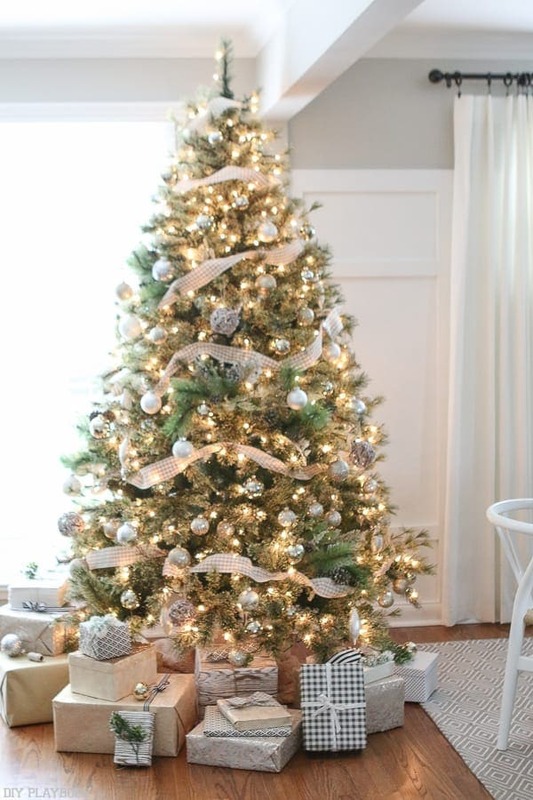 I love the whole look but I’m literally OBSESSED with this foldable tree. It comes flat, then all you have to do is open it up and stick it together. 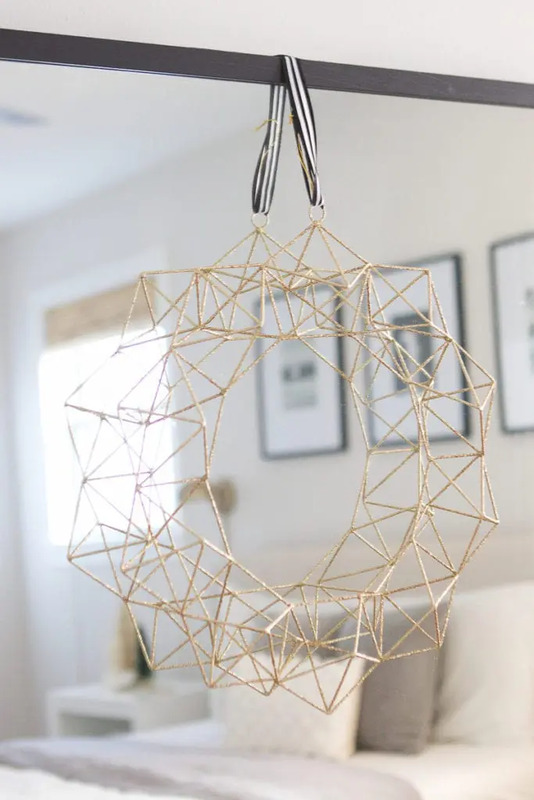 But the genius part of this decoration is that it’s held together with tiny, invisible magnets. 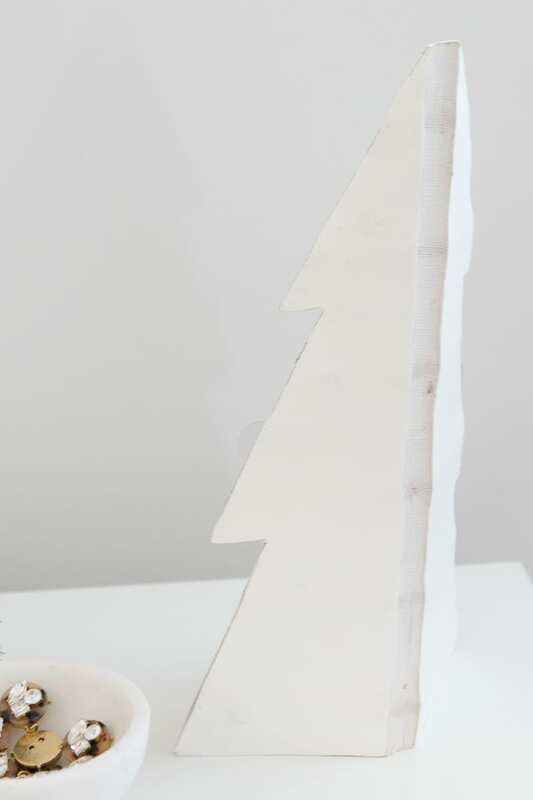 That way you don’t have to worry about how many times you “open and close it” as you decorate each year because it will never lose it’s “stick”. I wish ALL my decorations were this storage-friendly! 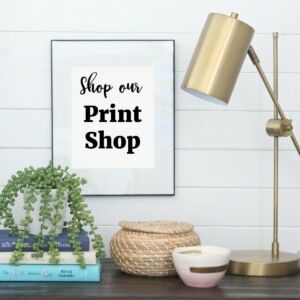 Heck, I loved this one so much I actually bought the larger size for our living room! On Matt’s side, we stuck with the grouping of trees (and the rule of 3! 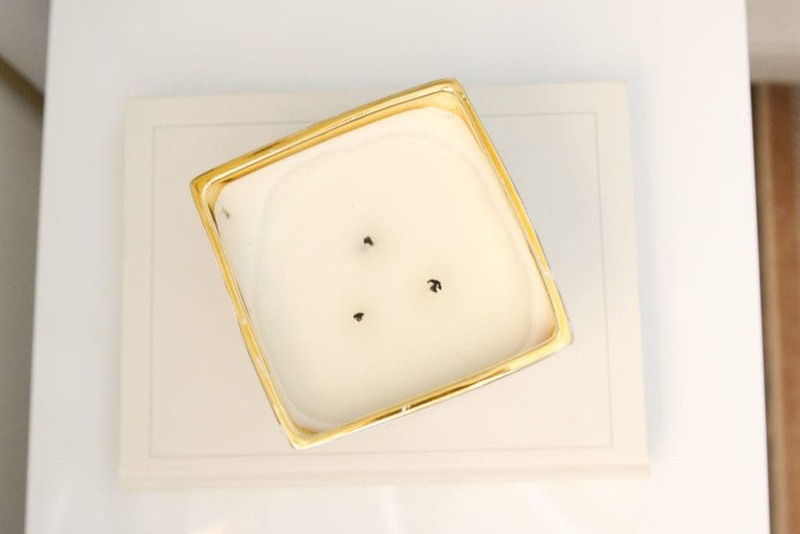 ), but instead of a jewelry bowl, I added this epic candle. Right when we entered West Elm earlier this month Matt immediately said, “we need to buy the candle burning in here… it’s amazing”. Low and behold, it was this gorgeous candle that smells like we have a fresh Christmas tree right in our room. Plus, the candle permeates the whole house so this one should be the only one we need all season long! Although I’m a sucker for holiday prints (bring on all the plaid! ), I wanted to keep the pillows in our room very neutral to stick with that calming feel. You may look at my bed and think it looks similar, but I can’t believe the difference swapping out the throw pillows made. 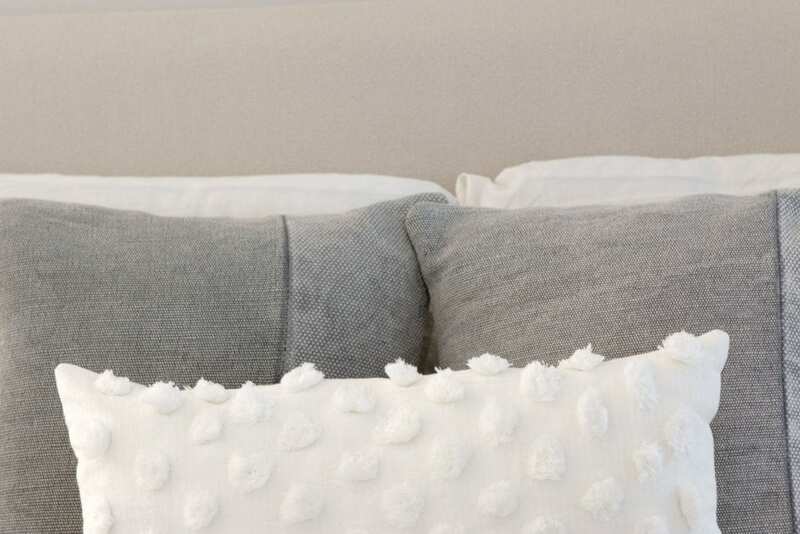 I opted for two of these cotton canvas covers in gray and this white, lumbar pillow cover. 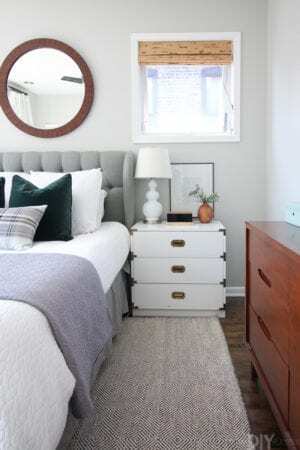 Another space saving tip: opt for pillow covers whenever you can! West Elm sells their pillows as covers only OR covers + pillow inserts. 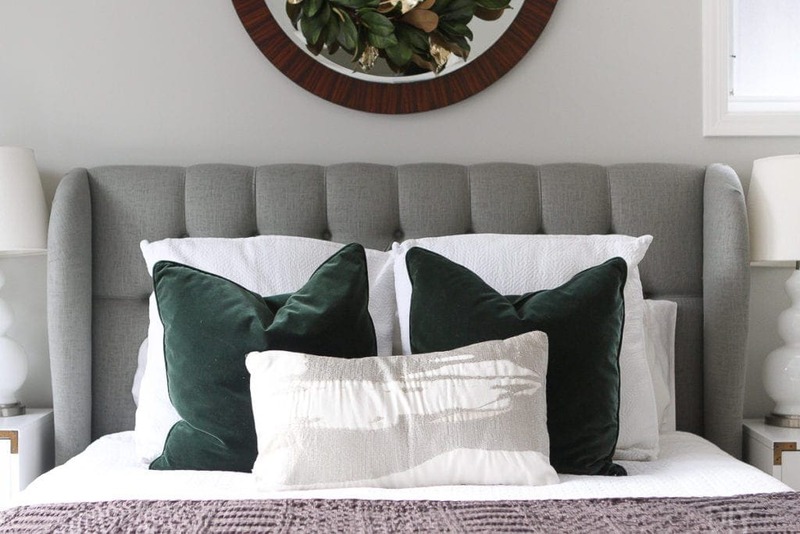 Once you have a solid collection of pillow inserts you love, sticking with the covers only is a great way to store these seasonal pieces. Not that I’ll be storing these pillows anytime soon. 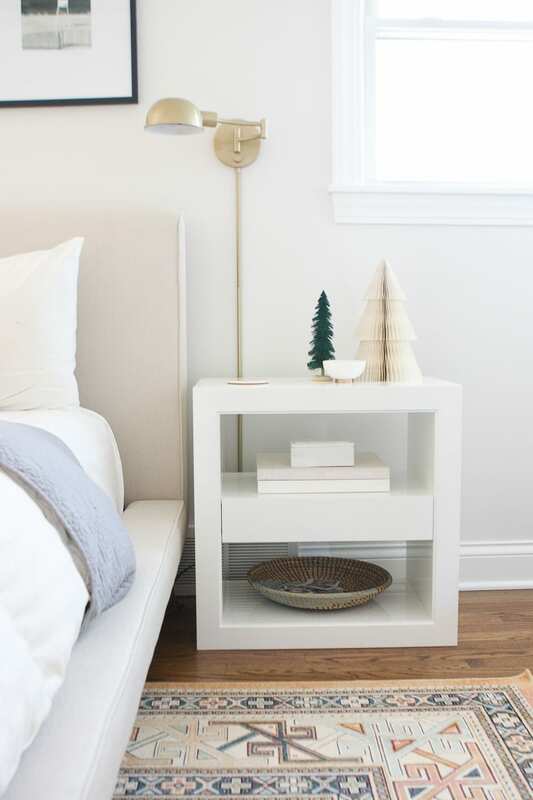 These few pieces give our bedding a fresh look, but can also stick around well after the holidays. 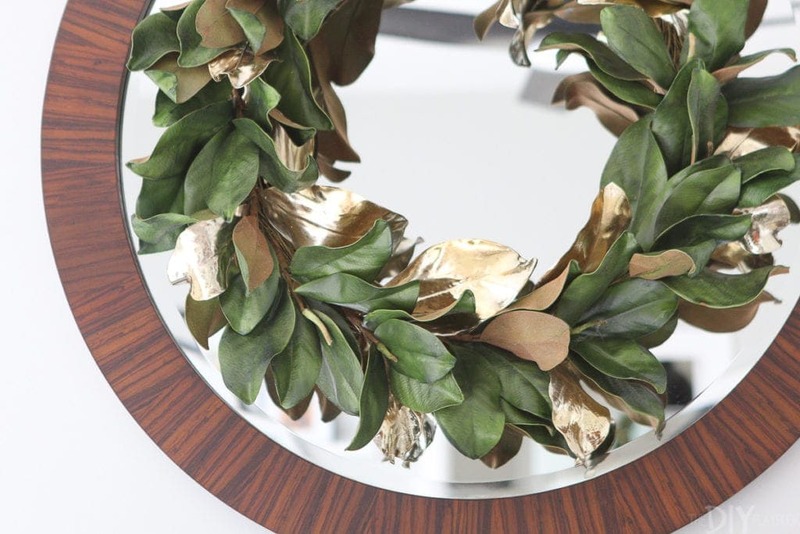 And last but not least, how gorgeous is this metallic, geometric wreath?! I simply added some black and white ribbon to the top of it and laid it behind our hanging mirror. 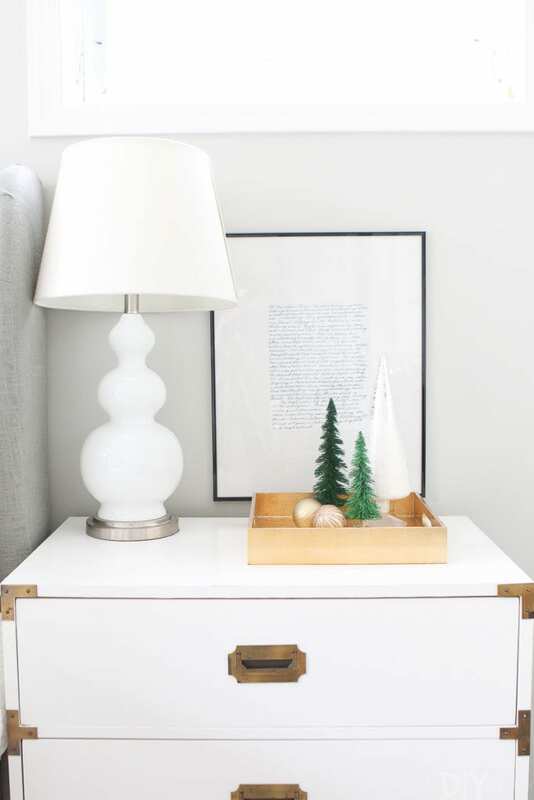 I love how dainty it is and how it adds just a touch of the holidays without going over the top! 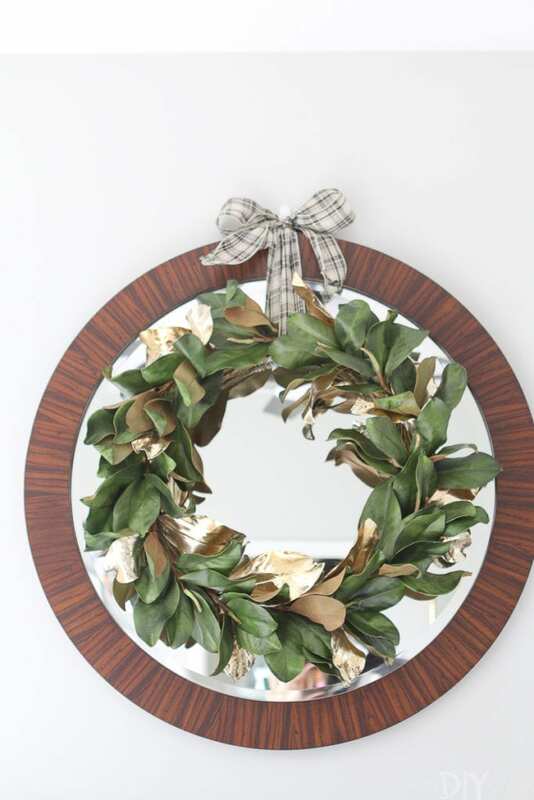 Plus, there are 25 different places I could put this wreath in our home so it’s definitely a piece that will be very versatile for years to come. 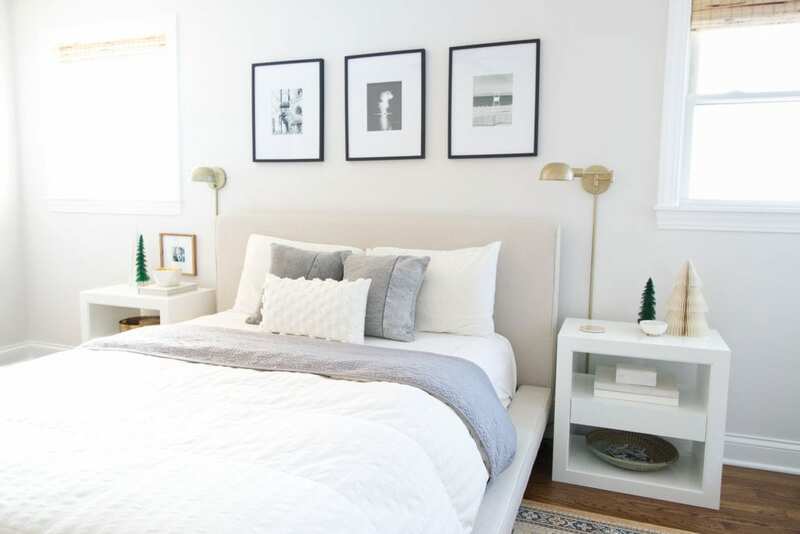 Changing your bedroom up for the holidays doesn’t have to be a huge production. 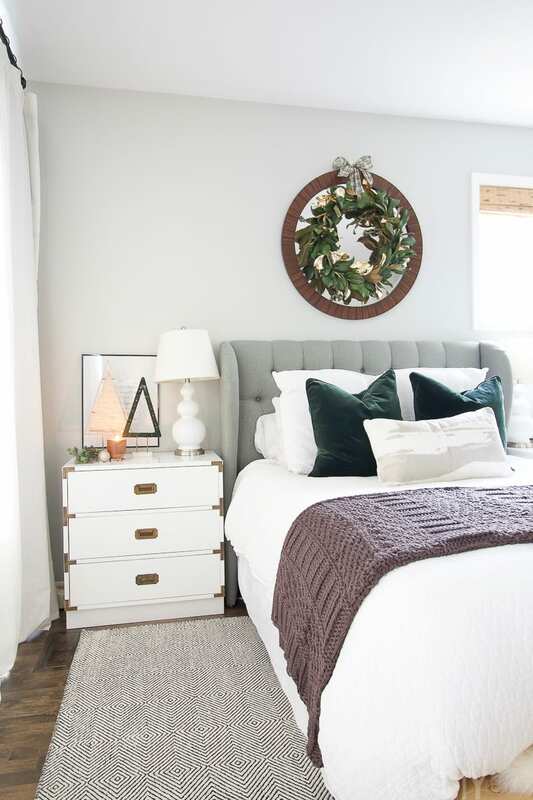 Finding a few accessories, pillows and an aroma you love will quickly transform your bedroom and get you into the holiday spirit. Does anyone else decorate their room for the holidays?! I can’t wait to decorate Ben’s room (or at least help him?) once he’s old enough!! 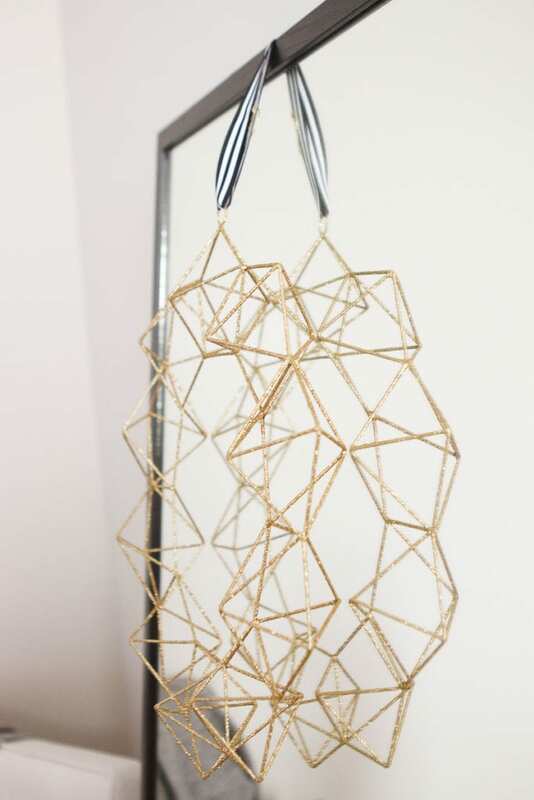 I thought it was so cool when my mom let me bring decorations into my bedroom as a little girl. Looks like some things never change, haha!